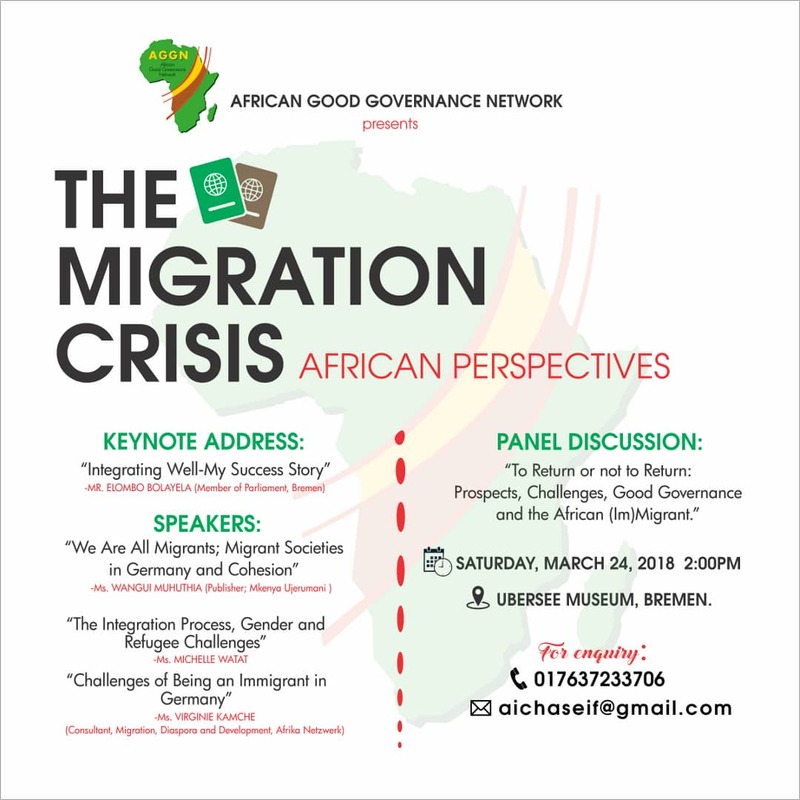 The workshop "The migration crisis - African perspectives" was organized by four AGGN fellows and took place in Bremen on 24th March. The event provided space to discuss African perspectives on migration and migration experiences. To do so, the organizing fellows had invited a diverse group of speakers. The first speaker, Ms. Wangui Muhuthia, discussed the different concepts of cohesion and integration. She was followed by Elombo Bolayela, a parliamentarian of the Bürgerschaft of Bremen, who encouraged the participants to get involved in civil society. Ms. Virginie Kamche offered a theoretical perspective on migration, presenting in particular NGOs run by Africans in Bremen. Lastly, Michelle Watat shared her experience in working with female immigrants, discussing challenges and opportunities of this work. In a concluding interactive session, the participants used the opportunity to engage in discussions with the four speakers.